May 16 is St. Brendan's Day. 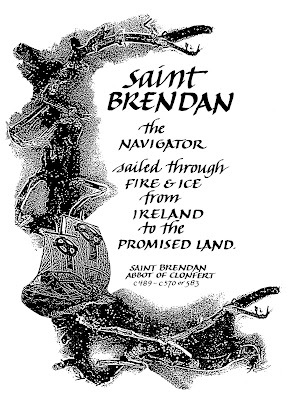 St. Brendan is known as the Navigator or the Voyager. The Navigatio Sancti Brendani Abbatis (the Voyage of St Brendan the Abbot) was written in the Middle Ages and presumed to be legend. In the 1970s Tim Severin recreated Brendan's voyage in a leather curragh and reached Newfoundland; he wrote about in The Brendan Voyage. May we take inspiration from Saint Brendan as we navigate our way through this world.